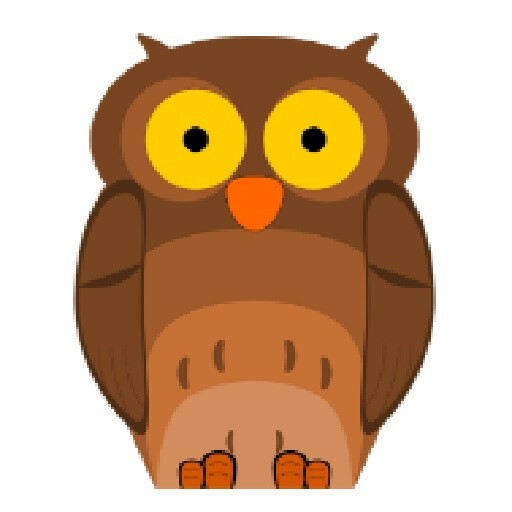 This is a fun little game where a little practice has you flying your owl like a pro. 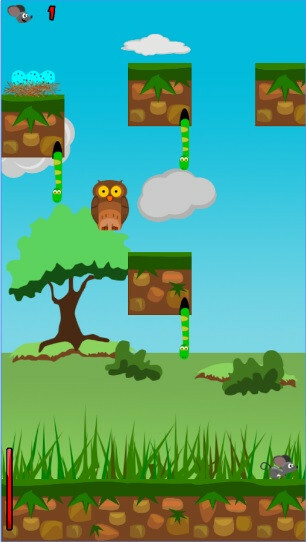 With colorful graphics and intuitive controls, you try to catch mice to feed your owlets. In short, you need to Feed'em. It is free to play, free to fly, free to master and free to enjoy. You fly across 3 different stages, namely Jungle, Desert and Snow. 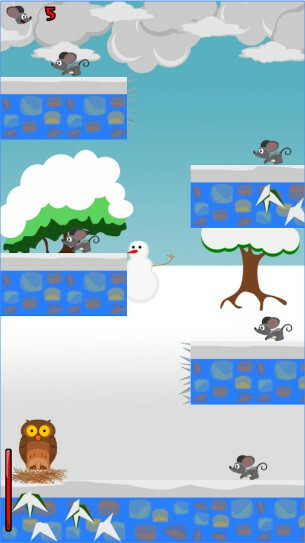 Every stage is distributed into 12 levels where each level comes up with its own challenges and physics based puzzles. 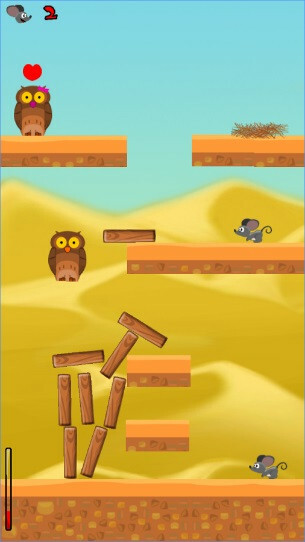 You need to manoeuvre in between different obstacles and hazards which include thorns, spikes and deadly snakes and try to catch all the mice. If you hit a wall hard, you get injured, but if you are careful, you can catch all of them and live to fly another day! There are no angry birds here, just a barn owl trying to look after its young. 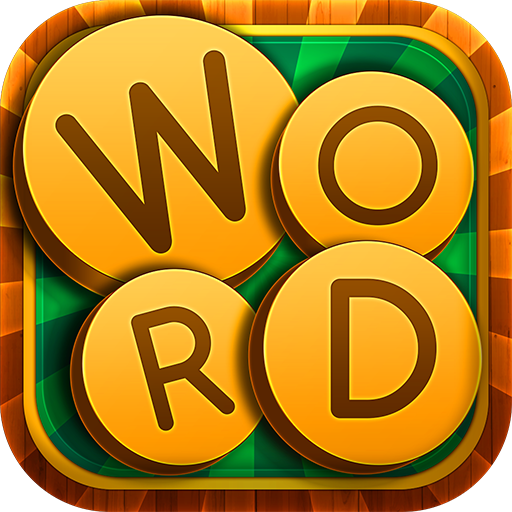 You will need to tilt and tap to go through amazingly addictive levels that require skill and intelligence to complete. Anyone from ages 3 and up can play and enjoy the game, especially children! It is fun, entertaining and even educational as you learn to master inertia and momentum.